Bamboo was a very important raw material  it is versatile, quick to work with and forms an excellent cutting edge. 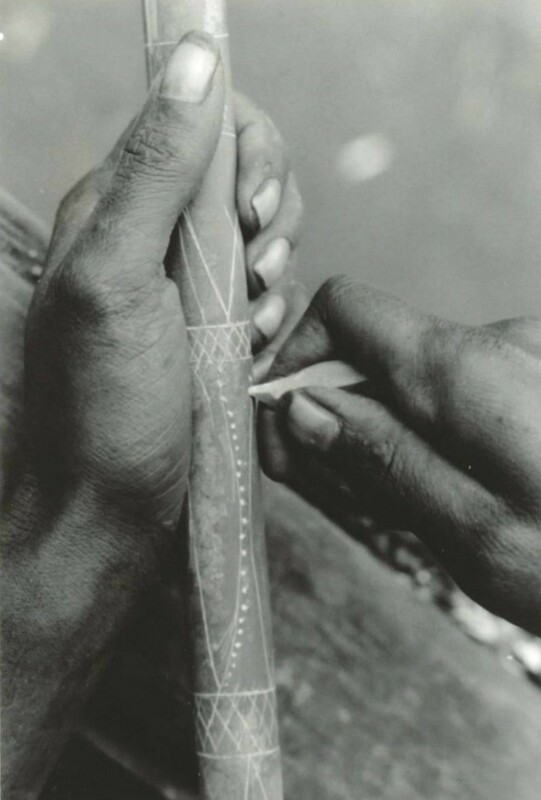 Most bamboo tools were manufactured using chert tools (Plates 13-25). 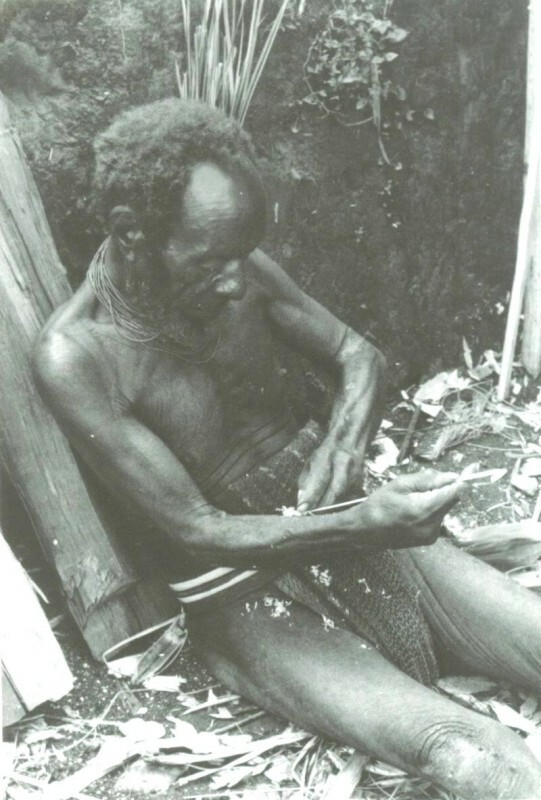 Among the Dani, bamboo was particularly important, bamboo tools were the only items used in the ritually important pig sacrifice; pigs were killed using a bamboo-tipped arrow, they were skinned with bamboo knives, disarticulated with stone adzes and bamboo knives (sometimes only bamboo knives) and the meat was cut up with bamboo knives (Hampton 1999). 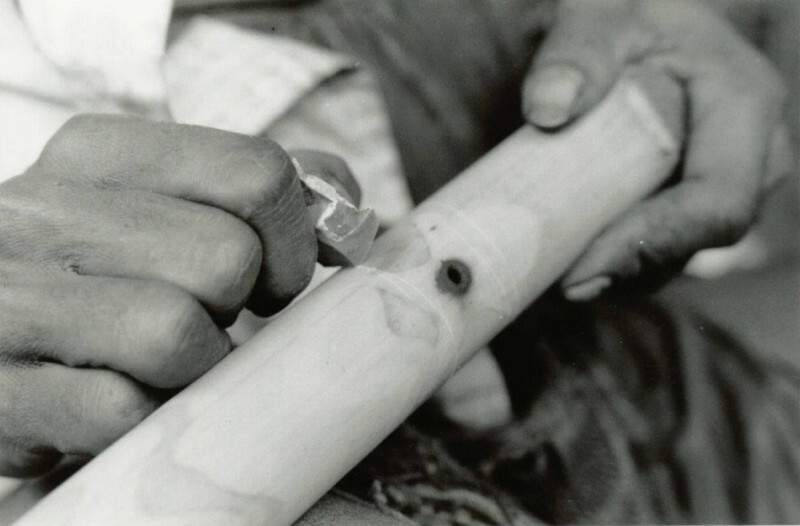 Bamboo is readily available and the manufacture of bamboo knives was a simple and fast procedure that provided an alternative to stone for cutting tools. 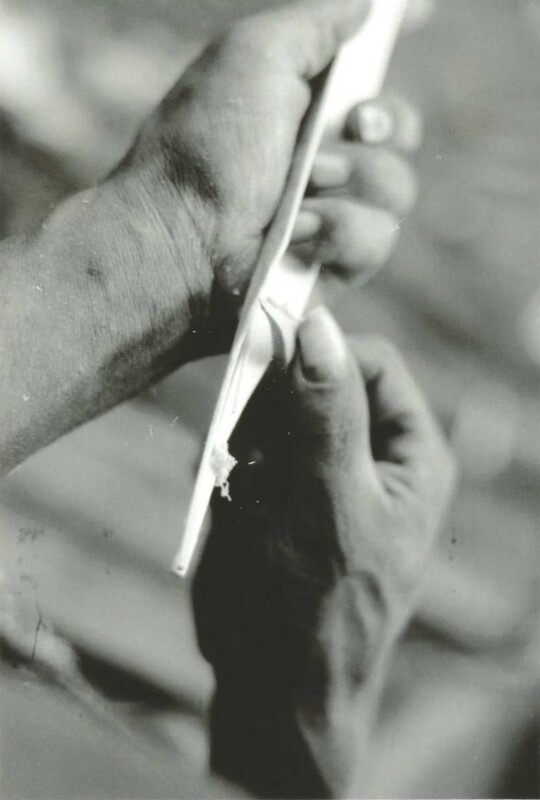 Additionally, bamboo knives could be quickly resharpened. 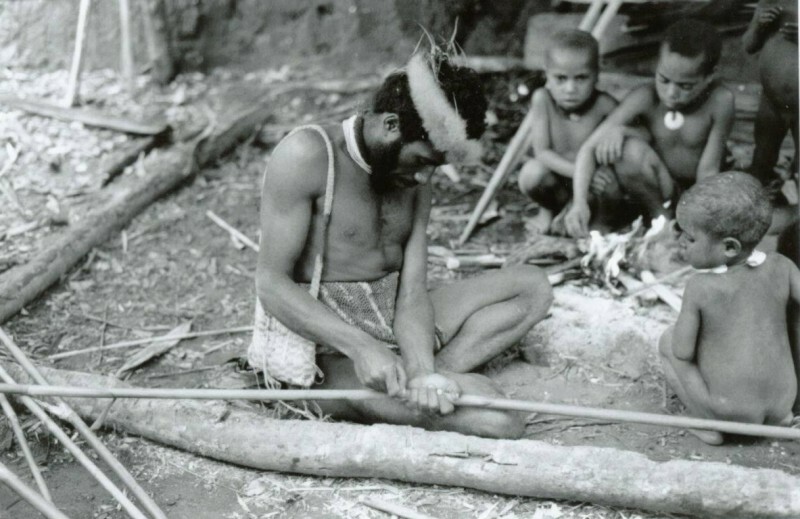 The Wola used bamboo to make their meat knife, used largely for butchering pigs as well as for a range of other items, including musical instruments, tools, and some consumption utensils (Table 2). 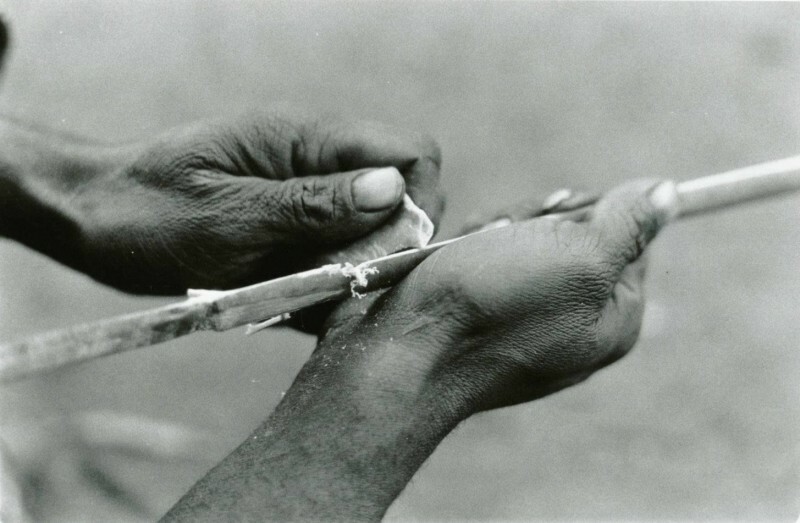 Bamboo grass knives, which the steel machete has now replaced, were quickly made by splitting a bamboo culm and were sharpened by removing a thin strip, generally with the teeth (Golson 1977a). 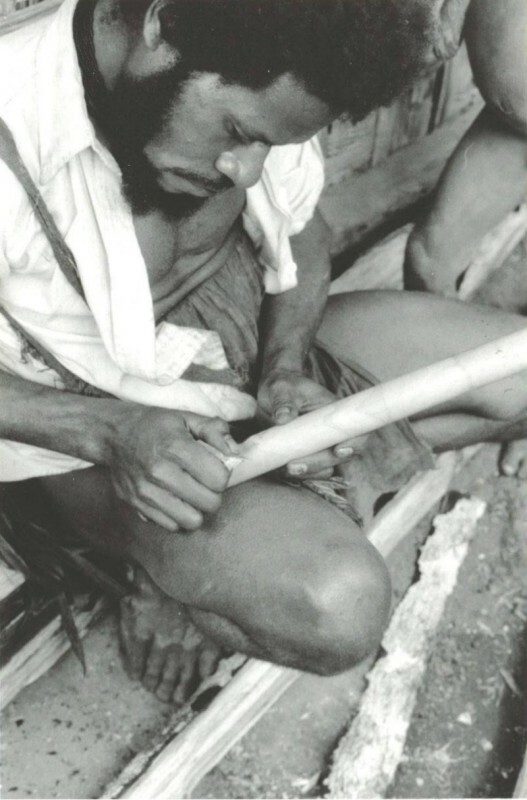 Bamboo was also used as a component in a range of other artefacts and had many more uses than stone (Sillitoe 1988). 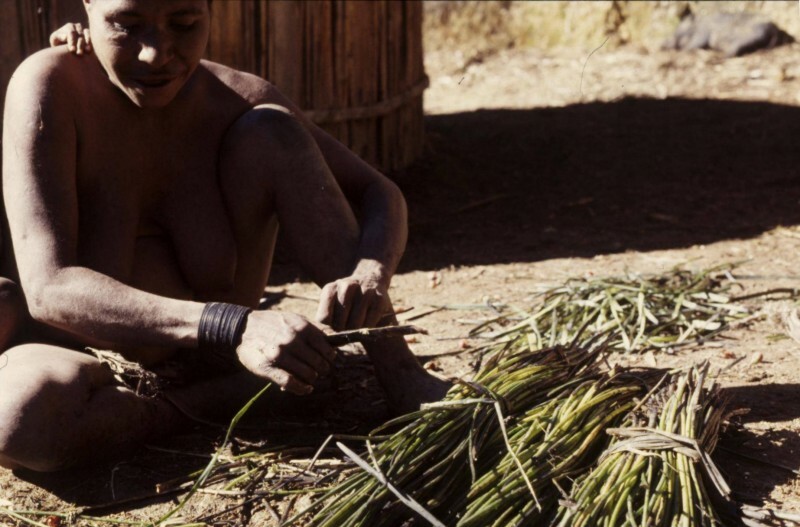 Additionally, people cultivate bamboo for food (they eat the shoots), and it is one of the few raw materials that is cultivated. 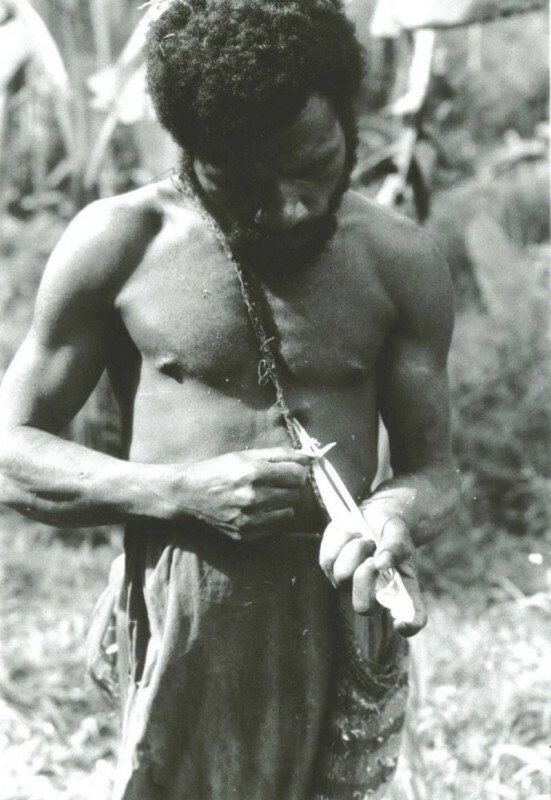 Hampton (1999) states that in Irian Jaya bamboo was the preferred raw material for cutting implements and that bamboo knives were the only tools used for surgical procedures on humans and for killing and butchering cassowary birds and pig. 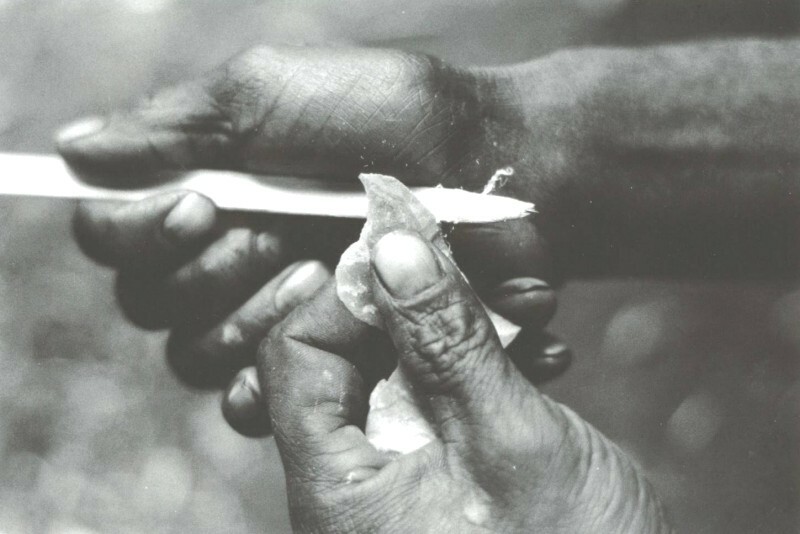 Among the Wola, both bamboo knives and flaked stone knives were used for these processes (Sillitoe 1988). 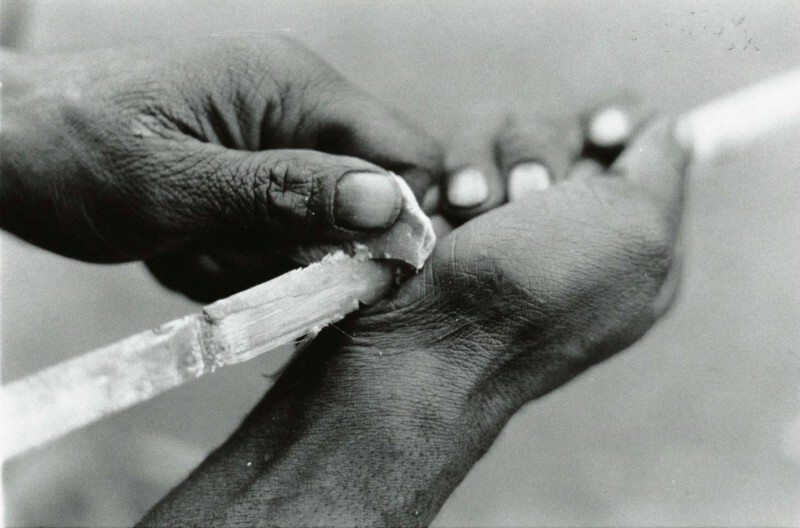 Hampton makes an interesting connection between bamboo and chert, identifying the importance of chert in the manufacture of the highly important bamboo technology employed by the Dani. 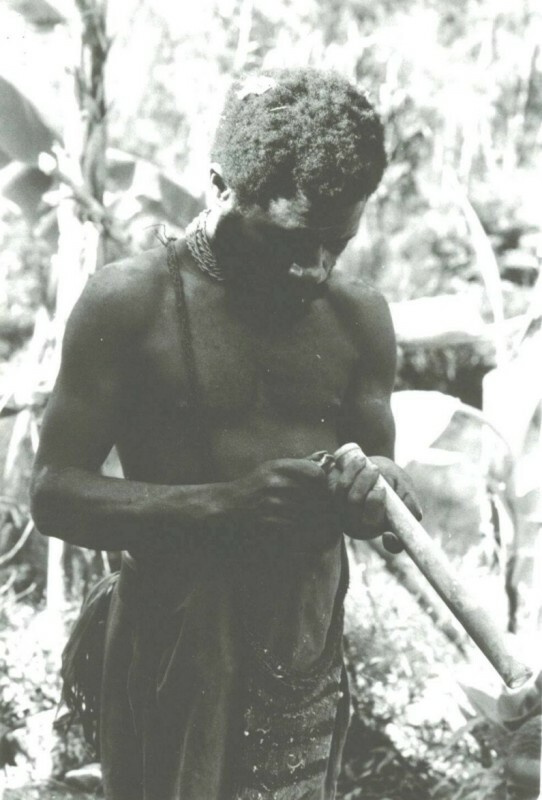 He also identified two different fire-starting tool kits, both of which were made with bamboo (1999).